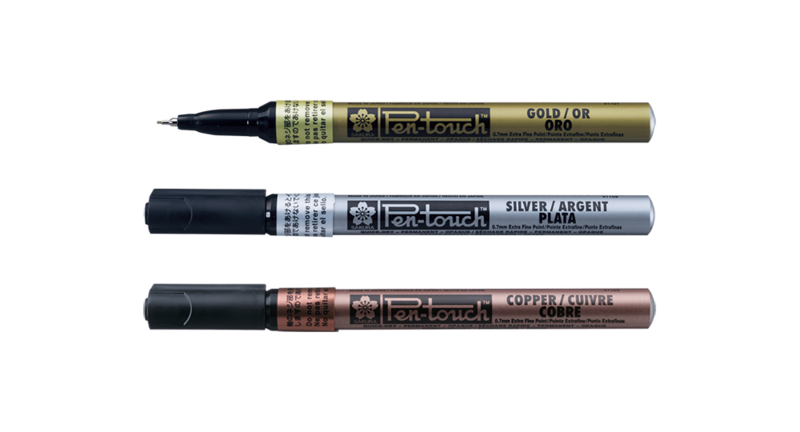 PEN-TOUCH METALLIC｜SAKURA COLOR PRODUCTS CORP.
Good adhesion on most surfaces like metal, glass, wood, plastic and paper. Xylene free – Low odor. Line width: 0.7mm (Extra Fine) , 1.0mm (Fine) & 2.0mm (Medium). 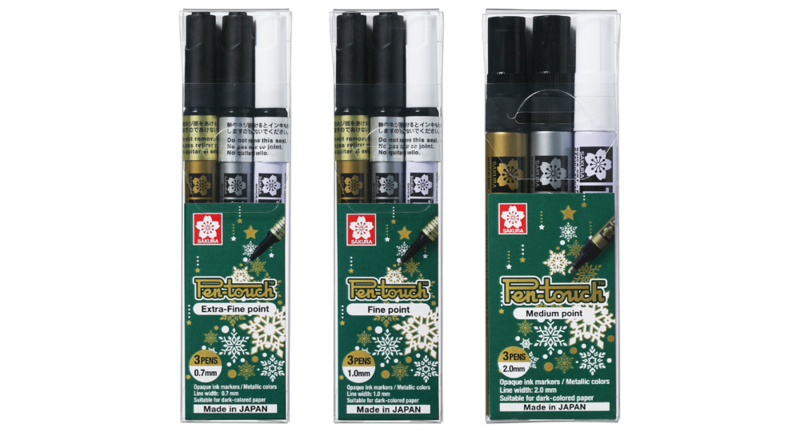 Suitable for permanent markings on paper, metal and plastic. SAKURA130/140 & PEN TOUCH E.B. Line width: 1.2mm, 4.0mm & 11.5mm. Outlined effect marker. 4 combination colors. Line width: 1.0mm. Beautiful calligraphy marker in Metallic ink and White ink. 5 colors.